We’re Bound To Have A Cat You’ll Love! Whether you’re hoping for a lively playmate or a quiet companion, a young cat or one more mature, long or short hair, and just about any color or size AAA has just the cat for you! 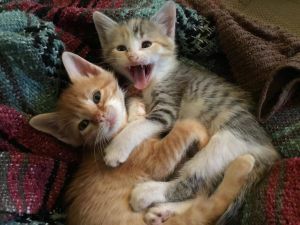 Acadiana Animal Aid adoption coordinators make every effort to pair the adoptive family with their appropriate feline companion; however, AAA reserves the right to deny adopter applications based on previous ownership history or an unsuitable or unsafe home environment. Please allow 3 business days for our adoption coordinator to review your application. 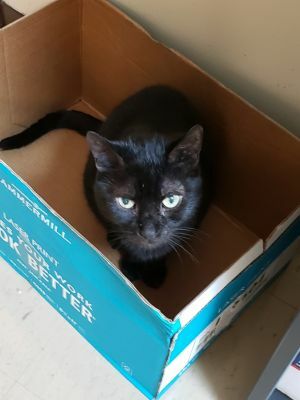 *Adoption fees vary based on age and includes a full physical exam, FELV testing, FIV testing, annual vaccinations, spay/neuter, and microchipping. 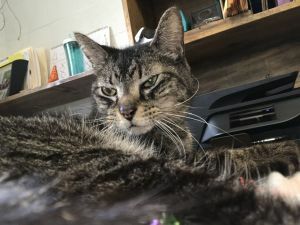 If you would like to take me home apply to adopt at http://acadianaanimalaid.org/adopt/cat-adoption/application/ All of ours cats have been Feline Leukemia and FIV tested negative, spayed or neutered, vaccinated for FVRCP and rabies, dewormed, and microchipped. Stella's adoption fee is 80$. 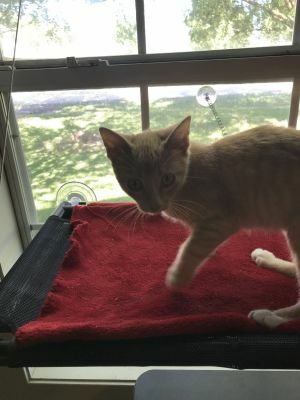 If you would like to take me home apply to adopt at http://acadianaanimalaid.org/adopt/cat-adoption/application/ All of ours cats have been Feline Leukemia and FIV tested negative, spayed or neutered, vaccinated for FVRCP and rabies, dewormed, and microchipped. Aspen's adoption fee is 80$. 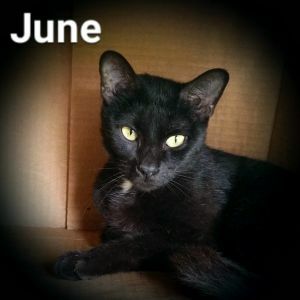 If you would like to take me home apply to adopt at http://acadianaanimalaid.org/adopt/cat-adoption/application/ All of ours cats have been Feline Leukemia and FIV tested negative, spayed or neutered, vaccinated for FVRCP and rabies, dewormed, and microchipped. Charlie's adoption fee is 80$. 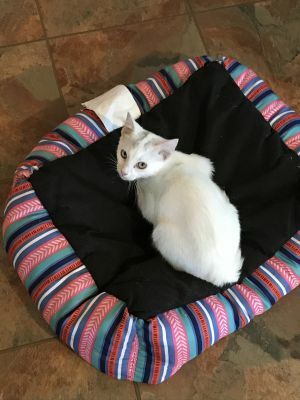 If you would like to take me home apply to adopt at http://acadianaanimalaid.org/adopt/cat-adoption/application/ All of ours cats have been Feline Leukemia and FIV tested negative, spayed or neutered, vaccinated for FVRCP and rabies, dewormed, and microchipped. Alaska's adoption fee is 100$. If you would like to take me home apply to adopt at http://acadianaanimalaid.org/adopt/cat-adoption/application/ All of ours cats have been Feline Leukemia and FIV tested negative, spayed or neutered, vaccinated for FVRCP and rabies, dewormed, and microchipped. Ash's adoption fee is 80$. 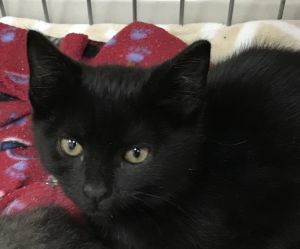 If you would like to take me home apply to adopt at http://acadianaanimalaid.org/adopt/cat-adoption/application/ All of ours cats have been Feline Leukemia and FIV tested negative, spayed or neutered, vaccinated for FVRCP and rabies, dewormed, and microchipped. Savannah's adoption fee is 80$. 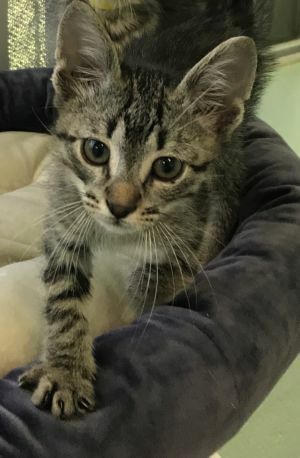 If you would like to take me home apply to adopt at http://acadianaanimalaid.org/adopt/cat-adoption/application/ All of ours cats have been Feline Leukemia and FIV tested negative, spayed or neutered, vaccinated for FVRCP and rabies, dewormed, and microchipped. Nooch's adoption fee is 80$. 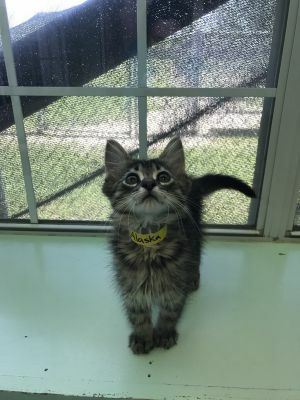 If you would like to take me home apply to adopt at http://acadianaanimalaid.org/adopt/cat-adoption/application/ All of ours cats have been Feline Leukemia and FIV tested negative, spayed or neutered, vaccinated for FVRCP and rabies, dewormed, and microchipped. Emory's adoption fee is 80$. 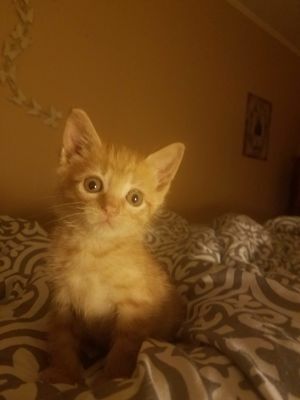 If you would like to take me home apply to adopt at http://acadianaanimalaid.org/adopt/cat-adoption/application/ All of ours cats have been Feline Leukemia and FIV tested negative, spayed or neutered, vaccinated for FVRCP and rabies, dewormed, and microchipped. 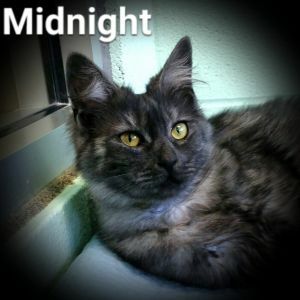 Midnight's adoption fee is 100$. If you would like to take me home apply to adopt at http://acadianaanimalaid.org/adopt/cat-adoption/application/ All of ours cats have been Feline Leukemia and FIV tested negative, spayed or neutered, vaccinated for FVRCP and rabies, dewormed, and microchipped. 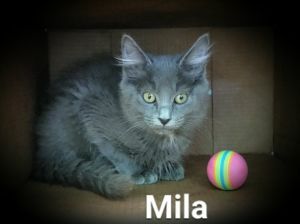 Mila's adoption fee is 100$. If you would like to take me home apply to adopt at http://acadianaanimalaid.org/adopt/cat-adoption/application/ All of ours cats have been Feline Leukemia and FIV tested negative, spayed or neutered, vaccinated for FVRCP and rabies, dewormed, and microchipped. Maya's adoption fee is 100$. If you would like to take me home apply to adopt at http://acadianaanimalaid.org/adopt/cat-adoption/application/ All of ours cats have been Feline Leukemia and FIV tested negative, spayed or neutered, vaccinated for FVRCP and rabies, dewormed, and microchipped. 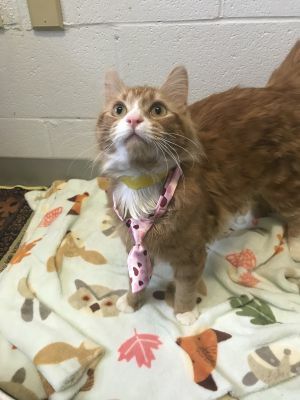 George's adoption fee is 80$. 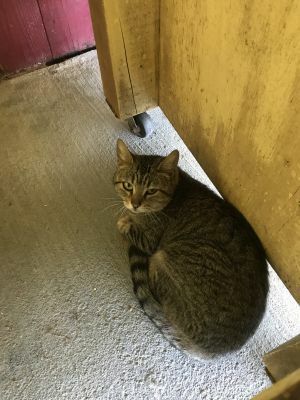 If you would like to take me home apply to adopt at http://acadianaanimalaid.org/adopt/cat-adoption/application/ All of ours cats have been Feline Leukemia and FIV tested negative, spayed or neutered, vaccinated for FVRCP and rabies, dewormed, and microchipped. Tori's adoption fee is 80$. If you would like to take me home apply to adopt at http://acadianaanimalaid.org/adopt/cat-adoption/application/ All of ours cats have been Feline Leukemia and FIV tested negative, spayed or neutered, vaccinated for FVRCP and rabies, dewormed, and microchipped. 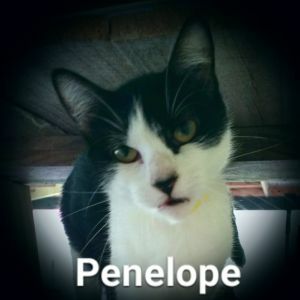 Penelope's adoption fee is 80$. If you would like to take me home apply to adopt at http://acadianaanimalaid.org/adopt/cat-adoption/application/ All of ours cats have been Feline Leukemia and FIV tested negative, spayed or neutered, vaccinated for FVRCP and rabies, dewormed, and microchipped. June's adoption fee is 80$. If you would like to take me home apply to adopt at http://acadianaanimalaid.org/adopt/cat-adoption/application/ All of ours cats have been Feline Leukemia and FIV tested negative, spayed or neutered, vaccinated for FVRCP and rabies, dewormed, and microchipped. Bruce's adoption fee is 80$. If you would like to take me home apply to adopt at http://acadianaanimalaid.org/adopt/cat-adoption/application/ All of ours cats have been Feline Leukemia and FIV tested negative, spayed or neutered, vaccinated for FVRCP and rabies, dewormed, and microchipped. 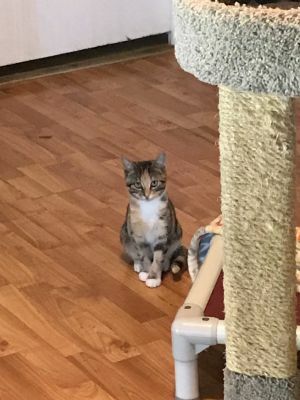 Bridget's adoption fee is 80$. 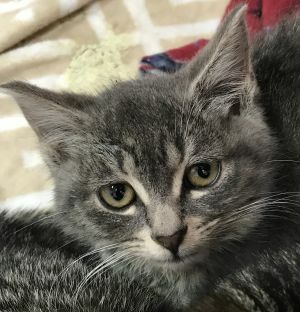 If you would like to take me home apply to adopt at http://acadianaanimalaid.org/adopt/cat-adoption/application/ All of ours cats have been Feline Leukemia and FIV tested negative, spayed or neutered, vaccinated for FVRCP and rabies, dewormed, and microchipped. Brandi's adoption fee is 80$. 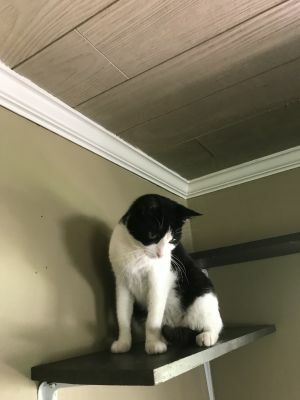 If you would like to take me home apply to adopt at http://acadianaanimalaid.org/adopt/cat-adoption/application/ All of ours cats have been Feline Leukemia and FIV tested negative, spayed or neutered, vaccinated for FVRCP and rabies, dewormed, and microchipped. Oreoh's adoption fee is 80$. 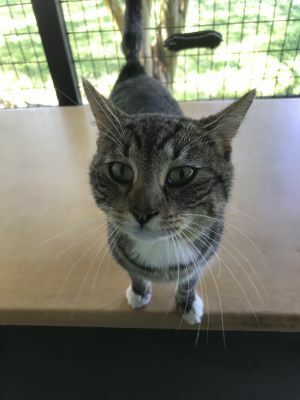 If you would like to take me home apply to adopt at http://acadianaanimalaid.org/adopt/cat-adoption/application/ All of ours cats have been Feline Leukemia and FIV tested negative, spayed or neutered, vaccinated for FVRCP and rabies, dewormed, and microchipped. Alex's adoption fee is 40$. 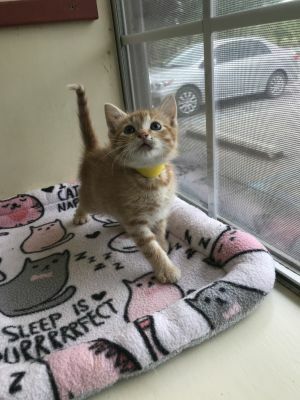 If you would like to take me home apply to adopt at http://acadianaanimalaid.org/adopt/cat-adoption/application/ All of ours cats have been Feline Leukemia and FIV tested negative, spayed or neutered, vaccinated for FVRCP and rabies, dewormed, and microchipped. Catlyn's adoption fee is 80$. 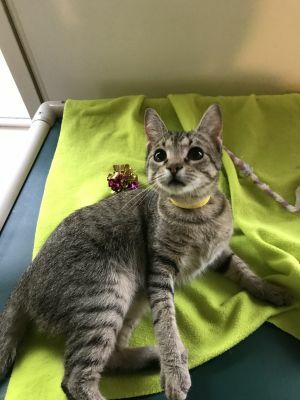 If you would like to take me home apply to adopt at http://acadianaanimalaid.org/adopt/cat-adoption/application/ All of ours cats have been Feline Leukemia and FIV tested negative, spayed or neutered, vaccinated for FVRCP and rabies, dewormed, and microchipped. Luna's adoption fee is 80$. 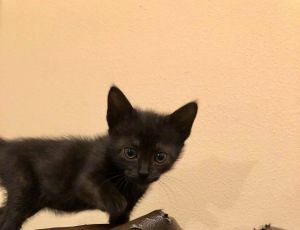 If you would like to take me home apply to adopt at http://acadianaanimalaid.org/adopt/cat-adoption/application/ All of ours cats have been Feline Leukemia and FIV tested negative, spayed or neutered, vaccinated for FVRCP and rabies, dewormed, and microchipped. Sadie's adoption fee is 80$. If you would like to take me home apply to adopt at http://acadianaanimalaid.org/adopt/cat-adoption/application/ All of ours cats have been Feline Leukemia and FIV tested negative, spayed or neutered, vaccinated for FVRCP and rabies, dewormed, and microchipped. Zoe's adoption fee is 80$. If you would like to take me home apply to adopt at http://acadianaanimalaid.org/adopt/cat-adoption/application/ All of ours cats have been Feline Leukemia and FIV tested negative, spayed or neutered, vaccinated for FVRCP and rabies, dewormed, and microchipped. Hyacinth's adoption fee is 80$. If you would like to take me home apply to adopt at http://acadianaanimalaid.org/adopt/cat-adoption/application/ All of ours cats have been Feline Leukemia and FIV tested negative, spayed or neutered, vaccinated for FVRCP and rabies, dewormed, and microchipped. Dahlia's adoption fee is 80$. If you would like to take me home apply to adopt at http://acadianaanimalaid.org/adopt/cat-adoption/application/ All of ours cats have been Feline Leukemia and FIV tested negative, spayed or neutered, vaccinated for FVRCP and rabies, dewormed, and microchipped. 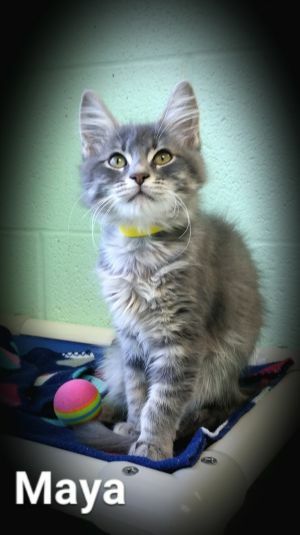 Cyrano's adoption fee is waived. If you would like to take me home apply to adopt at http://acadianaanimalaid.org/adopt/cat-adoption/application/ All of ours cats have been Feline Leukemia and FIV tested negative, spayed or neutered, vaccinated for FVRCP and rabies, dewormed, and microchipped. Vincent's adoption fee is 80$. 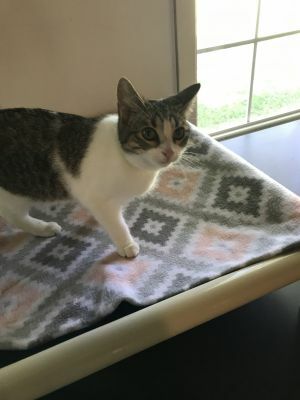 If you would like to take me home apply to adopt at http://acadianaanimalaid.org/adopt/cat-adoption/application/ All of ours cats have been Feline Leukemia and FIV tested negative, spayed or neutered, vaccinated for FVRCP and rabies, dewormed, and microchipped. Cecil's adoption fee is 80$. *He is recovering from surgery on his eye, but he doesn't let it slow him down! Langston is a really cool dude. He has a long lanky frame and big baby blue eyes. He has gorgeous seal-point markings, and is smart as a whip. He can play fetch all day long. He loves to curl up in a warm spot and take a cat nap. He enjoys eating treats and receiving gentle pets. He would do well in a loving, relaxed home where he can be independent. 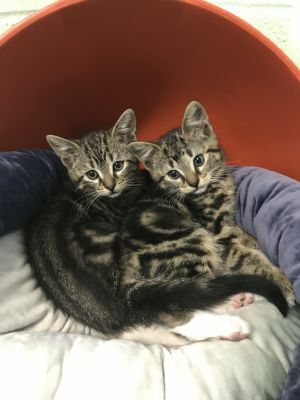 The first step to adopting any feline is to fill out an application at http://acadianaanimalaid.org/adopt/cat-adoption/application/ All of ours cats have been Feline Leukemia and FIV tested negative, spayed or neutered, vaccinated for FVRCP and rabies, dewormed, and microchipped. Langston has a waived fee. Butch is the first to approach and will follow you around like a puppy to get pets. Don't let his face fool you, all he wants is attention and behind-the-ear scratches. He has the power to make you feel 1,000 times better when you are having a bad day and would love to lay in the bed for snuggles. As long as he is getting plenty of love he would be happy in any home. 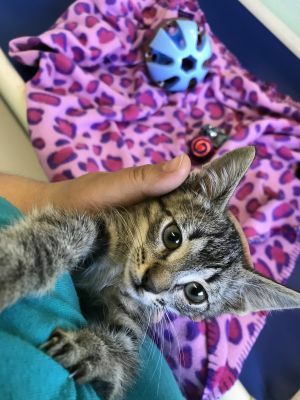 The first step to adopting any feline is to fill out an application at http://acadianaanimalaid.org/adopt/cat-adoption/application/ All of ours cats have been Feline Leukemia and FIV tested negative, spayed or neutered, vaccinated for FVRCP and rabies, dewormed, and microchipped.